San Diego’s countless area attractions are just minutes from Pantai Inn. Attractions including the world famous San Diego Zoo, LEGOLAND, SeaWorld® San Diego and more are all just a short drive away from our convenient La Jolla hotel location. Balboa Park Italian ,Brunch,Californian 1549 El Prado, San Diego, CA 92101 Balboa Park is the nation's largest urban cultural park. Home to 15 major museums, renowned performing arts venues, beautiful gardens and the San Diego Zoo, the Park has an ever-changing calendar of museum exhibitions, plays, musicals, concerts, and classes. Balboa Park is 20 minutes from Pantai Inn. Birch Aquarium at Scripps Italian 2300 Expedition Way, La Jolla, CA 92037 Birch Aquarium at Scripps is an aquarium that features more than 60 habitats of fishes and invertebrates. Interact with exhibits that showcase the cutting-edge discoveries of Scripps Oceanography explorers through hands-on displays and multimedia. It is just 10 minutes from Pantai Inn. Gaslamp Quarter Italian 521 Market Street, San Diego, CA 92101 San Diego’s bustling downtown area is highlighted by the Gaslamp Quarter, offering restaurants, nightclubs, art galleries and boutiques. During the day, it is a great place for families. At night, the area comes to life with award-winning restaurants, dance clubs, rooftop bars and more. LEGOLAND California Italian One LEGOLAND Drive, Carlsbad, CA 92008 Come play your part at LEGOLAND®, located just 30 minutes north of La Jolla. With more than 60 rides, shows and attractions it’s an interactive, hands-on theme park experience for families with children 2-12. The Resort is also home to SEA LIFE® Aquarium and the world’s first LEGOLAND Water Park. San Diego Botanic Garden Italian 230 Quail Gardens Drive, Encinitas, CA 92024 The San Diego Botanic Garden features numerous exhibits, including rare bamboo groves, desert gardens, a tropical rainforest, California native plants, Mediterranean climate landscapes, succulent gardens, an herb garden, a subtropical fruit garden, and native coastal sage natural areas. San Diego Zoo Italian 2920 Zoo Drive, San Diego, CA 92101 The world famous San Diego Zoo is home to over 3,700 rare and endangered animals representing more than 650 species and subspecies and a prominent botanical collection with more than 700,000 exotic plants. 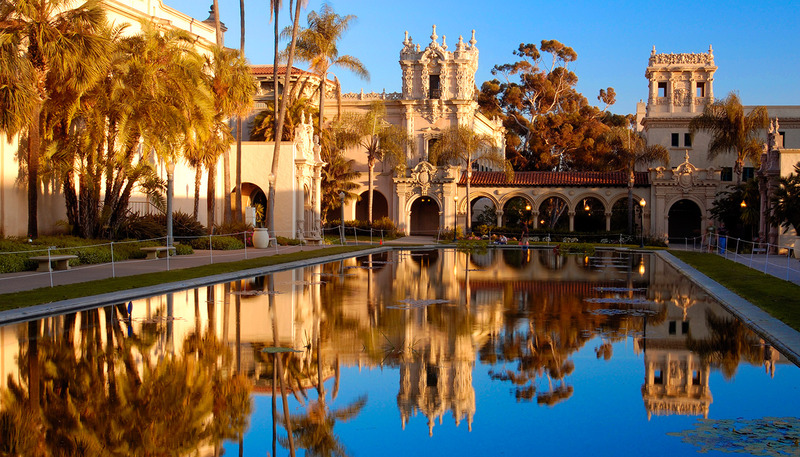 It is located 20 minutes south of Pantai Inn in Balboa Park. San Diego Zoo Safari Park Italian 15500 San Pasqual Valley Road, Escondido, CA 92027 The San Diego Zoo Safari Park offers a hands-on safari experience where animals roam in natural habitats. Choose exciting expeditions including tram, caravan truck, cart, segway or zip line tours that reveal a variety of animals including lions, antelope, giraffes, rhinos and more. SeaWorld® San Diego Italian 500 Sea World Drive, San Diego, CA 92109 SeaWorld® San Diego is one of the most popular marine parks in the world. Spread across 190 acres on beautiful Mission Bay Park, SeaWorld is known for spectacular animal shows, interactive attractions, aquariums, rides, beautiful landscaping and education programs for all ages. USS Midway Museum Italian 910 N Harbor Drive, San Diego, CA 92101 The USS Midway Museum is an unforgettable adventure for the entire family. Guests can spend the day exploring more than 60 exhibits with a collection of 29 restored aircraft. The self-guided audio tour brings the carrier's history to life. Guests can "take to the sky" aboard the flight simulators.